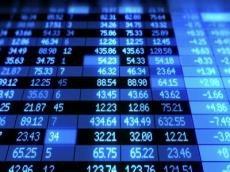 Turnover of securities at the Baku Stock Exchange (BSE) amounted to 9.6 million manats on March 18, Trend reports referring to the BSE. Most of the recent transactions accounted for bonds in the secondary market. The daily volume of operations with bonds on the stock exchange amounted to 6.6 million manats. During the day, deals were concluded on manat bonds of the Ministry of Finance of Azerbaijan (6.57 million manats) and USD bonds of the Azerbaijan's State Oil Company SOCAR ($14,400). The volume of transactions in the secondary stock market of the BSE amounted to 456 manats. During the day, 228 stock transactions were concluded. The volume of repo transactions amounted to 3.05 million manats.